Daily Illuminator: Metric Tonnes Of Ogre . . . Literally! September 20, 2013: Metric Tonnes Of Ogre . . . Literally! 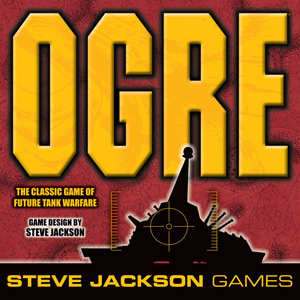 Each container of Ogre Designer's Edition contains 860 copies of the game. Each game weighs approximately 28 pounds. So, each container weighs 860x28 = 24,080 pounds. That's nearly 11 metric tonnes per container. We're getting three containers in by close of business today. That's nearly 33 metric tonnes of Ogre. And we'll be getting even more after that. So, if you ever hear one of the staff talking about having a metric ton of Ogre (perhaps at our upcoming launch party), not only are they not exaggerating, but they're actually understating the situation quite a bit.